Everyone needs this. 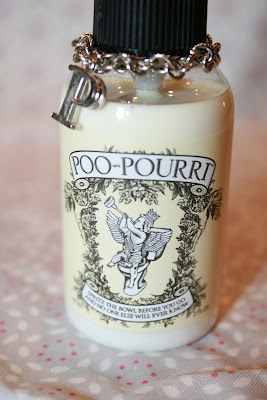 Yes, it is called Poo-Pourri. I found it in a little boutique when I was on vay-cay and a little light bulb went off in my head. This is the exact stuff my friend brought to a girl's weekend. There were 4 women staying in a one-bathroom hotel for 3 days. Let's just say it was great to have on hand. I bought some and have it in my guest bathroom. It really works. 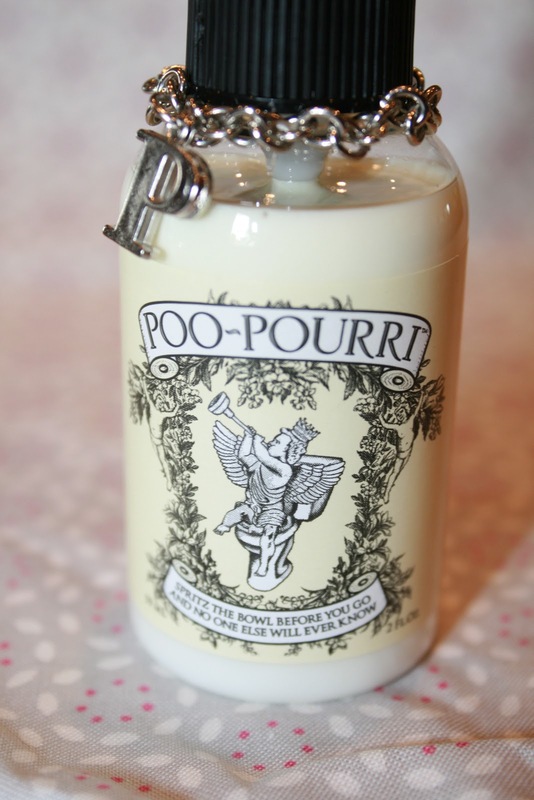 Basically all you need to do is spray a little spritz of poo-pourri in the bowl before you... go and there is no ....um ...shall we say odor. The little saying at the bottom says, spritz the bowl before you go and no one else will ever know. Get some for your overnight guests or for your next trip. You'll thank me for it. This is a public service announcement. Over and out. 1 Response to "Guest Spray"